Gorenje, Geoplin, and Energetika Ljubljana launched a joint venture called GGE this year to offer customers in both private and public sector advanced solutions to improve their energy efficiency and to decrease their power costs by employing the technologies for efficient energy use and use of renewable energy sources. GGE provides the service of the so-called energy contracting business model, which means that GGE as the service provider shall provide the entire investment in the improvement of energy performance of buildings or energy systems, and then tap into the energy savings thus generated to repay the investment while the customer shall not incur any costs throughout the implementation of solutions. The newly founded enterprise represents the first systematic approach among renowned Slovenian companies to the fulfilment of the national commitment of a nine-percent decrease in energy end-use by the year 2016 relative to the year 2008, and offers the customers products and technologies provided by Slovenian companies. 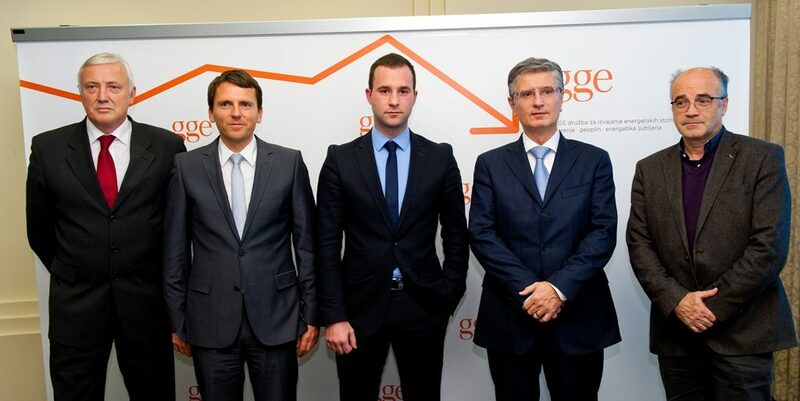 GGE shall carry out its first major project at Gorenje. The implemented measures will result in a five-percent drop in energy consumption next year, relative to this year. In addition, carbon dioxide emissions will be cut by approximately 1051 tons annually. In order to meet the target of nine-percent savings in energy end-use by 2016 relative to 2008, and to increase the share of renewable energy sources to 25 percent in gross final energy consumption, a market for advanced energy solutions must be developed in Slovenia. By combining their knowledge and experience in the joint venture GGE, three renowned Slovenian companies, Gorenje, Geoplin, and Energetika Ljubljana, entered this segment. 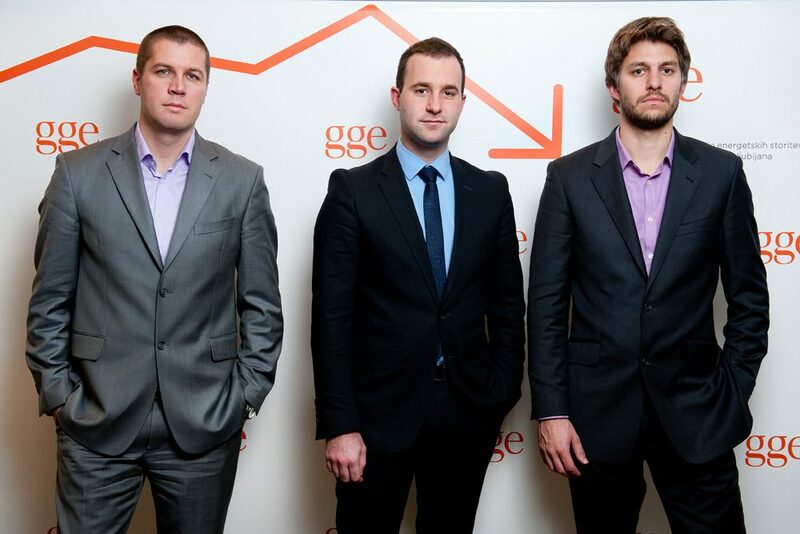 Each of the partners holds a one third interest in GGE. Franjo Bobinac, Gorenje President and CEO: "Given the volatility of energy prices, increasing the efficiency of energy consumption is an important aspect of improving the competitiveness of enterprises and the entire economy. At Gorenje, the aspect of efficient energy use is considered at all levels of operations, from production to product development. We are also one of the few Slovenian companies with in-house development and production of technologies and solutions for efficient use of energy. We are the first and only Slovenian manufacturer of combined heat and power, or co-generation, equipment. Our first heat pumps were manufactured as early as in the nineteen eighties, and our solar power plant program holds a ten-percent market share. We wish to continue to develop the segment of technologies for efficient use of energy in the future and the founding of the company GGE is seen as an additional opportunity to boost these activities." Boštjan Napast, President and CEO of Geoplin: "In energy engineering, too, investment in sustainable development and efficient and safe use of all energy sources must become a priority. At Geoplin, we have already started to implement such measures. Thus, founding the company GGE was a logical business decision. The role of Geoplin will be above all to develop new services and combined heat and power solutions, for which natural gas is surely the most suitable fuel. At the same time, natural has, owing to its efficiency, takes an ever more prominent role in households and small business. For us, participation in the GGE joint venture is an excellent business, environmental, and strategic opportunity." Stojan Smolnikar, Technical Director of Energetika Ljubljana: "Participation in the company GGE can improve our attainment of the plans regarding additional energy engineering services, particularly with respect to efficient energy use and renewable energy sources. We also believe this joint venture will improve our recognition and distinctiveness in the field of efficient energy use among end users, and in the field of renewable energy sources. It will also allow us to step up our contribution in the segment of environmental protection where we have been efficiently present for a while by supplying energy from energy-efficient and environmentally friendly basic supply systems, i.e. district heating, and supply of natural gas in the Municipality of Ljubljana and suburban and periurban municipalities." In Slovenia, most buildings are quite wasteful in terms of energy management and as a result, operating and utilities expenses are rather steep. Rising fuel prices and effective legislation compel the improvement of energy performance of buildings; however, property owners are often short of funding for such projects. GGE presents a package of energy engineering solutions offer through the model of energy contracting which means that GGE provides the refurbishment of buildings and outdated energy systems for customers from public or private sector. The entire investment which includes measures to cut energy consumption is provided by GGE; the savings thus generated are then used throughout the agreed contractual period to compensate the amount invested. It is a cost-efficient instrument for reducing power consumption and costs which does not present a burden to the customer's cash flow. GGE offers its customers three sets of specialized solutions to reduce power consumption. Energy management services include implementation of management and control of the customer's power consumption, which alone results in at least five-percent decrease in energy costs. Solutions for energy supply from own production resources include installation of efficient combined heat and power systems and solar power plants which can slash energy costs by 15 to 30 percent. Solutions for cutting back on energy use also include replacement of outdoor and indoor lighting which can lead to a drop in lighting power costs of up to 50 percent. Luka Komazec, Managing Director of GGE: "Energy efficiency is among the most cost-effective measures to cut energy use and the resulting greenhouse gasses, and to increase the share of renewable energy sources in Slovenia. It is the goal of GGE to work with the customers to decrease carbon dioxide emissions by 40,000 tons by 2020, by reducing energy use and harnessing renewable energy sources." 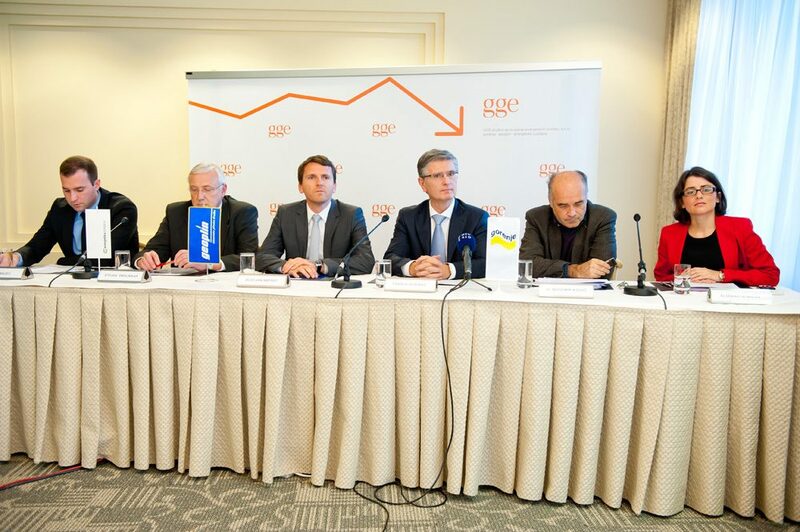 In the first half of next year, the company GGE will carry out its first major performance improvement project at Gorenje. The package of adopted measures includes updated of indoor lighting at one of the Velenje manufacturing plants, which is expected to slash the lighting power consumption by 66 percent annually; installing a combined heat and power system with rated power of 800 kWel and a solar power plant with capacity of 400 kWp; and implementation of an energy management IT system. These measures will allow Gorenje to reduce energy consumption by five percent, reduce carbon dioxide emissions by 1,051 tons annually, and generate five percent of power and heat from own resources, thus alleviating the Group's exposure to the fluctuating prices of electric energy.